IMPROVED ACCESS TO GP APPOINTMENTS: starts 1st October 2018 - see below for details. Care Quality Commission (CQC) Inspection 9/8/16: The New Surgery has been rated GOOD in all areas. Please see our CQC page under the Further Information menu below. "a moving exploration of the effect of dementia on a mother and her daughter." Patients are advised to soften wax in the ear and contact a clinic providing this service for further advice if they wish. This is a private service (non-NHS) and a fee will be payable. *Please note that none of the above services are endorsed by The New Surgery and are purely examples of services offered outside of the practice. It is an individual's decision if you wish to use any of the above services, or others, for which you will have to pay a fee. From 1 August 2018, please order all repeat medication and equipment (e.g. catheter and stoma bags and accessories) directly from your GP rather than from your pharmacy or medical equipment supplier. This affects the ordering part of the process only, your medication/equipment can still be delivered to your home by the pharmacy where these arrangements already exist. This is an initiative from Bucks CCG (Clinical Commissioning Group) - please follow the link below for more information. The new EU data protection law, the General Data Protection Regulation 2018, comes into force on 25th May 2018. Please see the Information Governance page in the right hand menu for more information about how we use your data in our Privacy Notice . Care in Mind, part of Bucks Mind, is launching courses for people with Young Onset Dementia (under age 65) to encourage continued wellbeing. Please use the Dementia Support link in the right-hand menu to see more information. What is the free NHS Health Check? Are you at risk of developing heart disease, stroke, type 2 diabetes, kidney disease or certain forms of dementia? The good news is that these conditions can often be prevented, even if you have a family history of them. An NHS Health Check can help you identify potential risks early and give you personalised advice so you can take action to reduce your chances of developing these health problems. The NHS Health Check programme is a national programme to inform you of your risk of cardiovascular disease. It is a 20 minute check where blood pressure, cholesterol, BMI and lifestyle are assessed by a healthcare professional. ToHealth’s bespoke health check software is being used in the checks which clearly explains to you your results, patients can then be referred immediately into appropriate lifestyle services where requested. Do you need information in a different format? Please tell us so that we can help you in the future. Health Help Now is a free advice service website for people in Bucks. This can be accessed on your phone, laptop or tablet so you can get NHS advice about the best place to go for your health concerns. Go to http://bucks.healthhelpnow-nhs.net/ to access the service. Anyone who doesn't have internet access should phone NHS 111 for instant advice, 24 hours a day. The top appointments link takes you to our newer Front Desk online appointments and repeat prescriptions service, which integrates with the surgery system and which requires a separate sign-up and login. This is the system which will be developed in the future. Only fully registered patients may sign up for this service: if you have completed a pre-registration form on the website you must visit the surgery with your identification documents to complete your registration before signing up for online services. Online services can now include a limited access to your electronic medical record via the Summary Care Record. Your medication, allergies, adverse reactions and immunisations are now available to view via the online appointments and prescriptions system. You must have already signed up to the online appointments and prescriptions service, however for this part of the service a separate ID-verified process is also required before access can be enabled. Please bring one photo ID and one proof of address to the surgery and complete the consent form available. A wider access to the coded parts of your medical record is also available via a separate service. This includes the above items from the Summary Care Record but extends into coded information in your record from consultations, test results, referrals etc. If you require access to the coded record please bring one photo ID and one proof of address to the surgery and complete the consent form available after reading the information sheet. The Summary Care Record went live at the New Surgery on Thursday 30th October 2014. 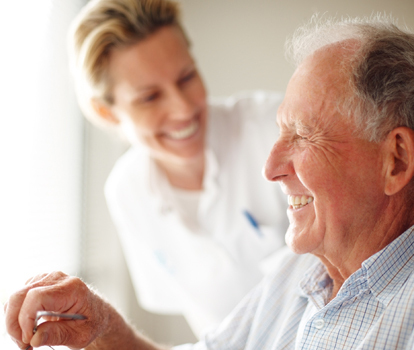 All non-dissenting patients have had an electronic Summary Care Record created for them automatically. This contains your current medication, any allergies you may have, and any bad reactions to medicines you may have had recorded. Only NHS staff directly involved in your care will have access to the Summary Care Record, and only with your express permission (except in an emergency). Further information and a link to the opt-out form are available via the Summary Care Record link and the SCR: your questions link to the right under Further Information. This is a new service which will particularly benefit patients whose medication rarely changes and who routinely use the same pharmacy to collect their medication. You (or your pharmacy) will not have not visit your GP practice to collect the prescription. Your GP will send the prescription electronically to the pharmacy you choose, saving you time. You will have more choice about where to get your medicines from because they can be collected from a pharmacy close to where you live, work or shop. The GP can electronically cancel and issue a new prescription without you having to return to the practice, saving you extra trips. You can change your nominated pharmacy at any time, either at the GP surgery or at the pharmacy. For more information, see the information sheet A New Way to Get Your Medicines and Appliances on the Prescriptions page. Please read the literature and complete the nomination form when you are next at the surgery if you would like to benefit from this system, or call the surgery to set your nomination. It is never too late to be vaccinated against measles. Parents of unvaccinated children, teenagers and young adults who have missed out on MMR should urgently arrange for them to be vaccinated by their GP surgery who have extra stocks of vaccine available now. If you are unsure of your child's vaccination status, please speak to reception who can check their record. Children who have had only a single dose will require a booster, and those who have never been vaccinated will require 2 doses of MMR vaccine for complete protection. Occasionally both GPs and nurses will see patients who need extra consulting time, and this may result in extended waits for other patients. We apologise in advance for this. 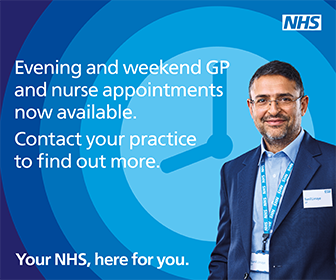 If you feel you are unable to wait to see your usual GP please speak to reception. If you have a complaint, concern, or even a comment or suggestion about the service you have received from the doctors or any staff working in the practice, please let us know. Where there is concern about the safety of an adult, child or young person or of suspected abuse this can also be received by reception staff. Please request a form from reception. Staff are available to assist with completion if required.